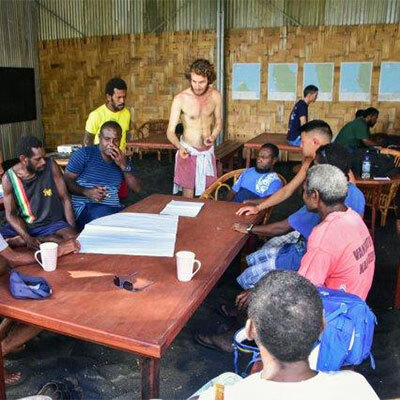 Edenhope Foundation is a registered philanthropic organisation dedicated to supporting the remote rural communities of West Coast Santo in projects that enhance education, environment and livelihoods. We have been working to improve the facilities and amenities of local primary schools by installing water systems and solar power supply. Schools can now produce their own organic food in local gardens so students enjoy greater health from eating fresh local produce and learn organic gardening methods. We have also led capacity-building workshops for adult learners in subjects that enhance community resilience to climate change, including food security, health and nutrition, water systems management, sustainable agriculture, and conservation. 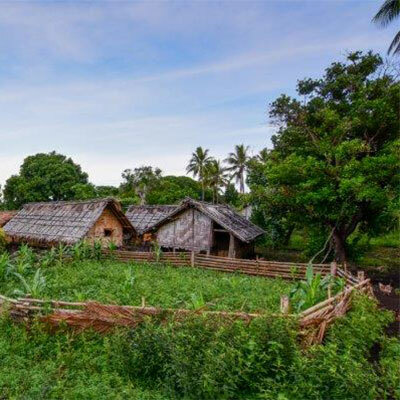 As a registered Community Conservation Area, Edenhope serves as a model for communities on West Coast Santo to protect the threatened ecological heritage of this globally-recognised Key Biodiversity Area. Our main project in this sector has been to establish the Santo Sunset Environment Network, an indigenous, grassroots-led civil society organisation whose priority is to ensure that at least 22 communities in the region establish registered conservation sites to protect local biodiversity. We are committed to continuing our support for the aims and goals of the Santo Sunset Environment Network by writing project proposals and co-ordinating with partnering NGOs and Government on their behalf. We are looking at ways and means to assist local communities in assuming means of livelihood that support best practice resource management and optimising the time and energy of local farmers and producers. Some of our plans in development include the establishment of a local fair-trade co-operative for the production of single origin cacao beans and virgin coconut oil and working towards solutions in eco-tourism and access to market. We are also seeking to develop local bio-duel and sustainable sea transport solutions in this region accessible only by boat.